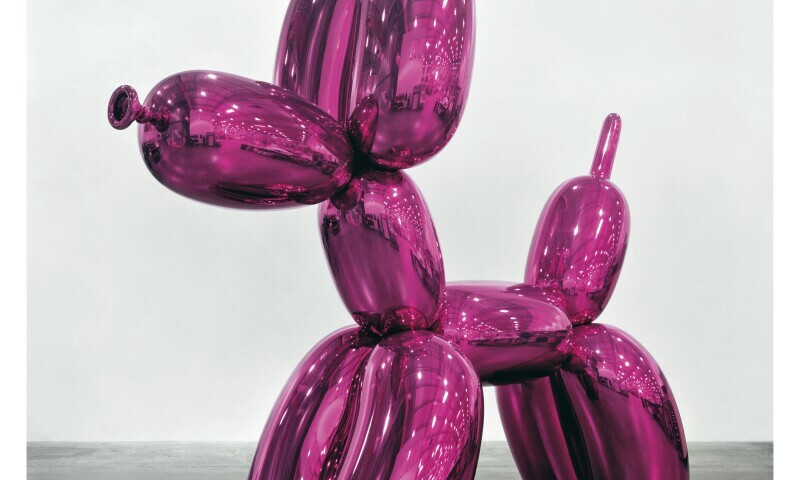 Jeff Koons, Ballon Dog (Magenta), 1994-2000. Courtesy: Private collection. In the exhibition, the curator invited Massimiliano Gioni establishes a parallel between the works of Marcel Duchamp and Jeff Koons - two of the most influential artists of the twentieth century - to address key concepts about objects, merchandise and the relationship of the artist with society. Naked Appearance is the first exhibition that shows together the work of these legendary artists. By putting their works face to face, the exhibition operates as a hall of mirrors that reflects, distorts and amplifies the similarities and differences between artists within a complex "regime of coincidences", to borrow one of Duchamp's peculiar expressions. Naked Appearance will present more than 70 works by Marcel Duchamp and Jeff Koons, among which is the complete series of ready-mades 1964 by Duchamp, including Bicycle Wheel, Bottle Rack and Fountain, among others; as well as a selection of the most recognized series of Koons such as The New, Banality, Made in Heaven, Celebration, Antiquity and works like Rabbit, Balloon Dog, Moon, Play-Doh, and Hulk. The exhibition includes loans from more than 30 collections.